Being an English-only speaking person (AKA - American), I miss out on a lot of games that are out there published in other languages. Thankfully, there's companies working hard to make sure I can still give them a shot. This includes LionWing Publishing, who will be bringing the hit Japanese board game Testament to an English-speaking audience this winter via Kickstarter. 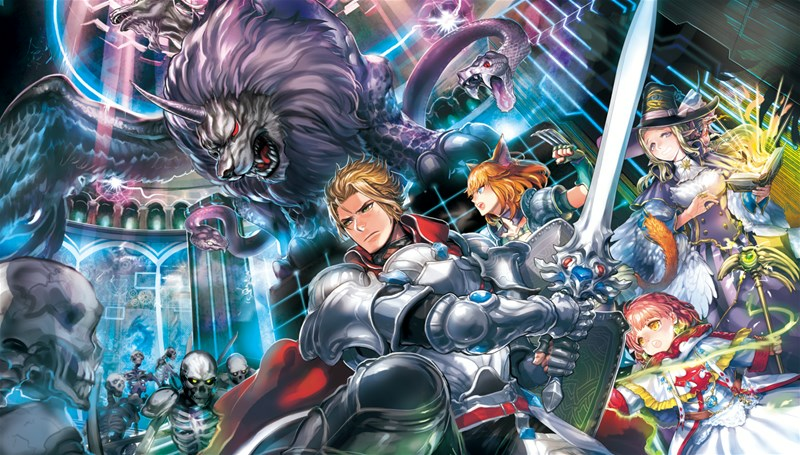 In 2019, Japanese board game localization studio LionWing Publishing will be publishing the English version of the hit Japanese dungeon-crawling card game Testament. From designer Yasushi ‘Kuro’ Kuroda—creator of Unicornus Knights, Ars Alchimia, and Alicematic Heroes—Testament is a fully cooperative, card-based dungeon-crawler that features deep character customization, tactical battles, and tough boss fights. Taking inspiration from MMORPGs, and in particular, Final Fantasy XIV, Testament’s core design is built around the “trinity” system found in such games, which emphasizes party combat roles like tanks, damage-dealers, and healers. In Testament, players team up and control individual heroes to battle through six stages, first fighting through smaller monsters and then facing off against a massive stage boss that mimics the complex “raids” for which MMORPGs are best known. Testament comprises six stages in total, with each one taking about an hour to complete (if the players’ party isn’t wiped out completely, that is) and provides players with the ability to play single, one-off scenarios or string several together to create a campaign, with characters leveling-up after the completion of each stage. Testament supports up to four players but can be played entirely solo as well. Do beware, however: the game’s level of difficulty is not for the faint of heart. In fact,Testament is so punishing that less than twenty percent of players will clear all of its stages on their first attempt, with many failing on the very first stage. If they can survive long enough, though, they will fight the game’s final boss, the man-made god known simply as Testament. A Kickstarter for the English edition of Testament is set to launch this coming winter season before its planned release next year. A presskit has been created to allow for a closer look at the game's features and its components . Click here to see it.